Status of the building is unknown. - The actual Rice Brothers were Charles W. and Fred C. Rice. - The Rice Bros. Brewing Association, Pittsfield, Mass.,has been oraganized to succeed Rice Bros., brewers. Edward A. Gautert, F. P. Burns and W. F. Hall are the incorporators of the new concern which is capitalized at $150,000. A new brewery and bottling works is to be erected. - RICE BROS., (Charles W. and Fred C.) manufs. 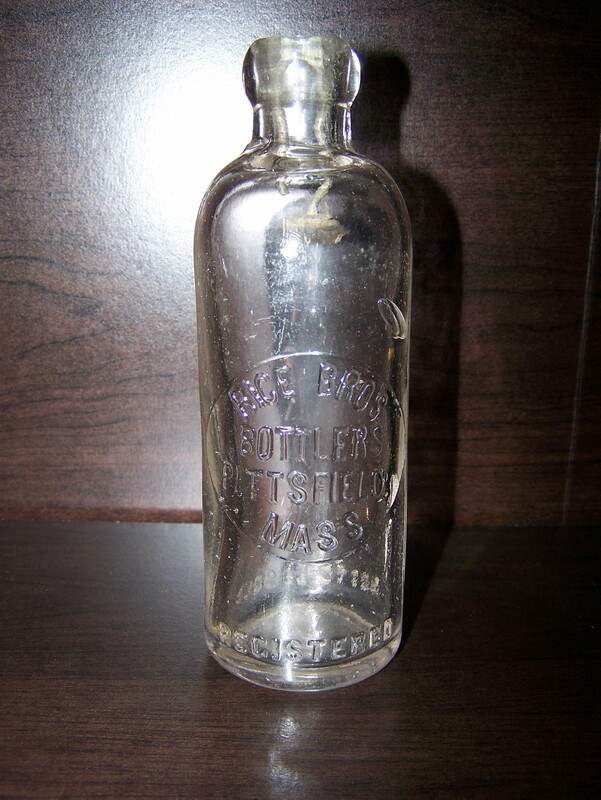 and bottlers of soda, birch and tonic beer, and ginger ale, also dealers and bottlers of lager, and all kinds of ales, connected by telephone, Burbank Hotel block, West. This is all the information I have on this brewery. They would have been in direct competition with The Berkshire Brewing Association at the time, but that wouldn't have mattered because they both would of closed to prohibition anyway. 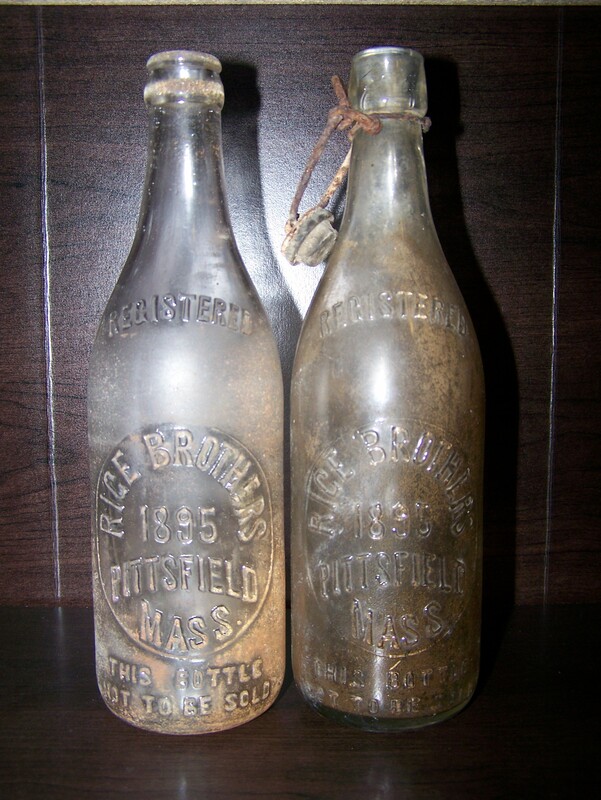 The only Breweriana from Rice Brothers I have are three bottles, one of which I found at an old farm in Hinsdale, Mass. while digging for bottles. Notes: Superb condition with intact closure with no rust.